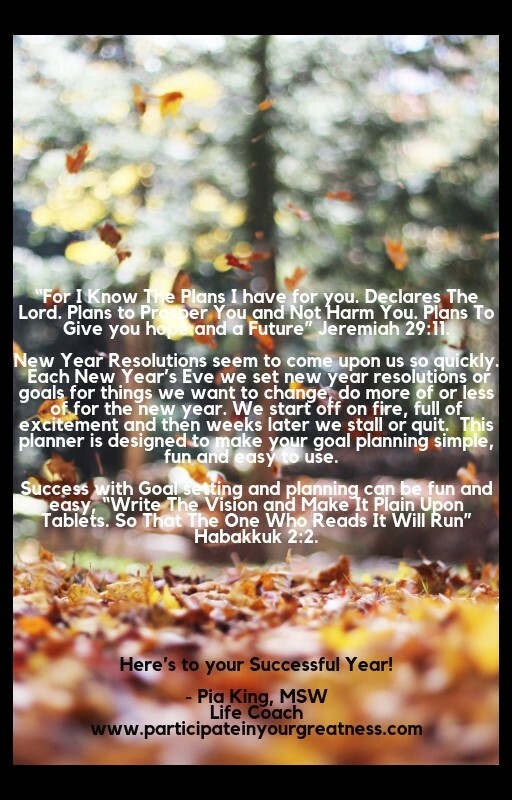 “For I Know The Plans I have for you. Declares The Lord. Plans to Prosper You and Not Harm You. Plans To Give you hope and a Future” Jeremiah 29:11. New Year Resolutions seem to come upon us so quickly. Each New Year’s Eve we set new year resolutions or goals for things we want to change, do more of or less of for the new year. We start off on fire, full of excitement and then weeks later we stall or quit. 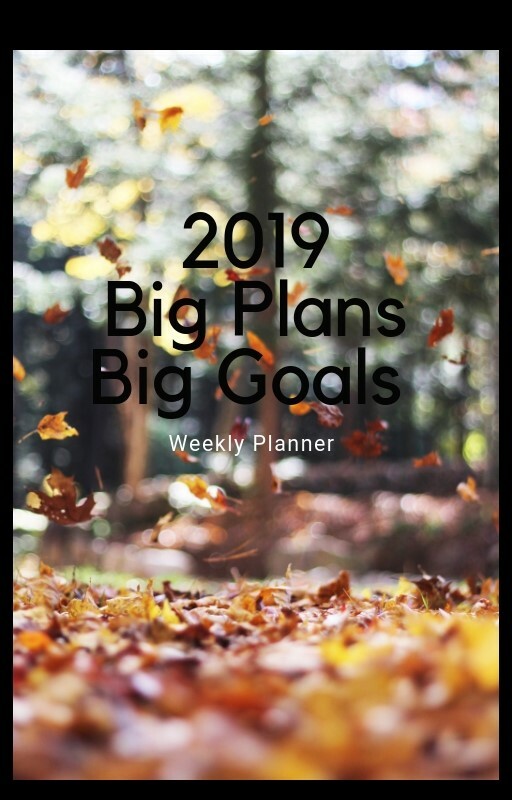 This planner is designed to make your goal planning simple, fun and easy to use. Success with Goal setting and planning can be fun and easy, “Write The Vision and Make It Plain Upon Tablets. So That The One Who Reads It Will Run” Habakkuk 2:2. Here’s to your Successful Year!